Ask DN: Anyone know of a 2D tool with inverse kinematics (IK)? On a related note... of designers with personal online stores, what are some of the services/platforms you suggest to get started? Are you putting your items for sale on a re-themed 'CafePress' store for example. A toggle to include the class along with the properties/values when copied, i.e., the entire selector. If possible to do the above, maybe include also parent, sibling, inherited, etc. styles that also affect the selected element's appearance. For pre-processors, include the location of the selected style in the source files; source maps I believe. I use Chrome Dev Tools often. No longer do I have to scroll the lists of element and computed styles. This is a big time-saver for me. Thank you. I'm curious, what type of music does your friend produce? I listen to a lot of (neurofunk) drum & bass - e.g., Noisia, Mefjus, Current Value - and for that genre, SoundCloud is absolutely the best platform to me as a listener imo. I can only speak as a fan of that genre, but nearly every day SoundCloud is like Christmas to me. Producers release lots of 'in progress' (ID) tracks, and then follow it up with full-length previews. I really like the constant stream of new music from many of my favorite producers. For lesser known artists, I'm sure it's unfortunately easy to get lost in a sea of noise. As a designer, I love the player UI and real-time commenting. With the waveform as the 'slider' it serves both as a large and effective UI on mobile - much better than trying to move the dot on the Spotify player for example. Additionally, having it begin in the center of the screen (on mobile), there's a generous amount of space to touch and drag it to a new section in the track. The waveform also helps you remember, find, and go back to your favorite parts in a track or podcast (where I find it especially useful). I would love it if Spotify were to 'borrow' this design. The time-based comment system is really appealing to. I enjoy seeing how people react to sections of tracks, specific sounds, and the community in general. It would be a really sad day for me if SoundCloud ever has to close it's doors for good. Those gave me an idea for a skee-ball volume 'game'. 100(%) would be the easiest, Mute would be the most difficult. 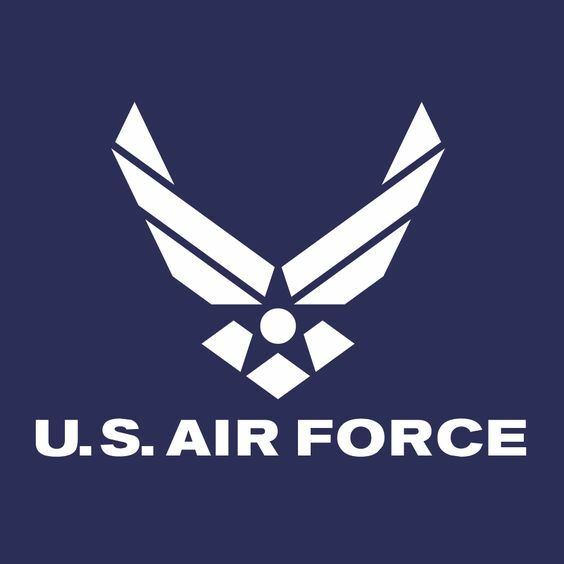 I like the US Air Force logo. However I don't like that font. I think a condensed font would look better here, imo. In a similar position at a startup. I love that I own design, but I'd like someone to bounce ideas off of and collaborate with. It is challenging, but in its own way rewarding. I won't do it again though, unless I'm working for myself. Has anyone attended, or planning to attend, this festival? I'm going to be near there for LET IT ROLL. I think I might attend it for a couple days. Hi, I'm curious, I've never heard of this format, what medium is it for? Designers/Illustrators/Artists With Personal Merch/Art Shops? Show off your Atom theme!